Customer Interaction Manager (CIM ) allows you to plan, execute and track any form of customer interaction across all interaction channels (chat, voice, email, bots,..) . Marketing Clouds, CRM and reporting solutions can retrieve this information via open API’s. CIM includes campaign planning and execution, tracking details of any interaction (chat, AI info, recorded voicefiles, chat transcripts), and scoring/ analyzing the same. All information can be stored on-or off-premise. Having all your interactions tracked in CIM, you can use these activities for tagging, such as tagging a recorded voice file with information from that an agent entered. You can then analyze them, extract information and predict actions. 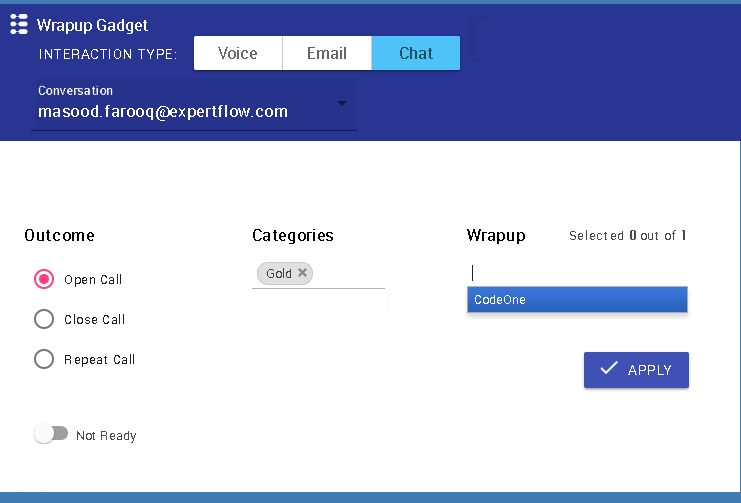 Expertflow Hybrid Chat for example uses an NLU to extract intents and entities from a chat message. I then uses a conversation engine to predict the next best answer. The original message, recognized intents, entities and actions are then forwarded to the callcenter agent, all retrievable over the same chat channel. A chat session with a customer is a subscription to activities for a certain customer. Customer Profile. Interaction History. Customer Context. Various customer identities (= channels) such as phone numbers, email address. Works as a Contact Address Book or Phone Book. Any customizeable field such as Customer preferences such as preferred language, contact timings, secured PIN, preferred agent or classification such as VIP, malicious, or more. The customer profile automatically pops up on the screen when a call comes in. 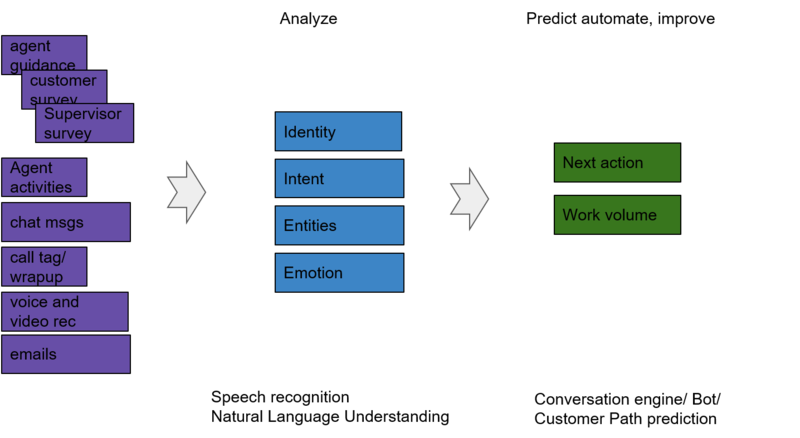 Context-sensitive interaction history is also presented to the agent for journey tracking. An interaction could be an inbound call having an IVR activity (an IVR trail) and one or more agent activities such as call wrap-up/ call transfer / conference call. Other interaction types inlcude SMS, Email, chat, social media. 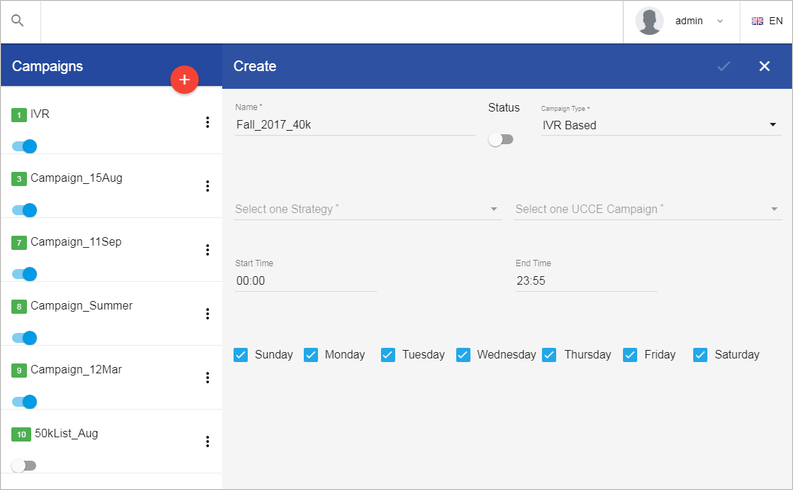 Linking customer profiles to campaign contacts, ExpertFlow Campaign Manager makes it possible to create campaigns based on customer identifiers such as VIP, malicious, DNC or any other field. Based on the history of calls to the customer, the business can also decide a better customer engagement policy, such as to provide a promotion to eligible or interested customers only. 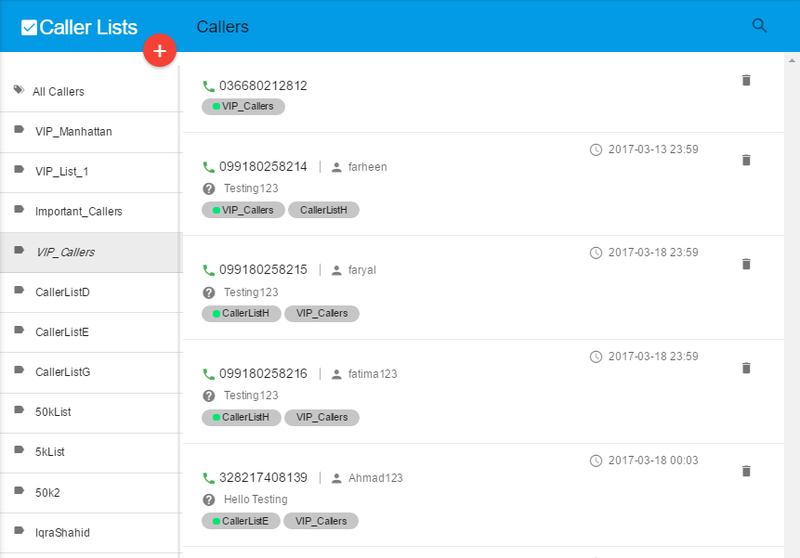 Schedule an automatic callback for an abandoned call or other call outcomes. Based on the outcome of the last interaction, the solution can automatically push certain contacts for a callback. 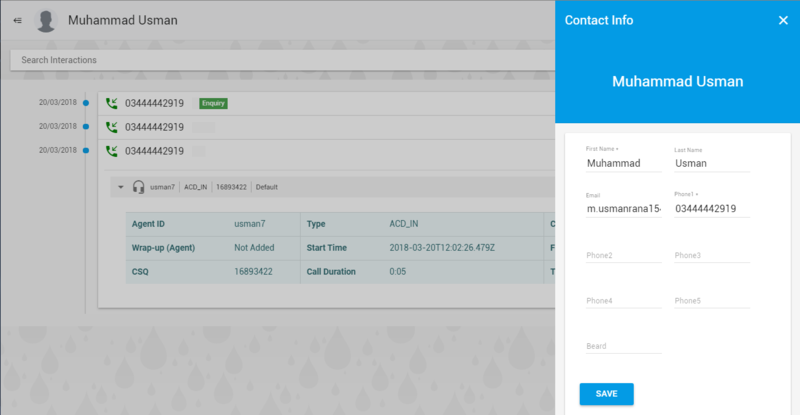 Customers can also request for a callback from the company website through Expertflow web widget. Each callback request is also logged in CIM as part of the customer interaction history. 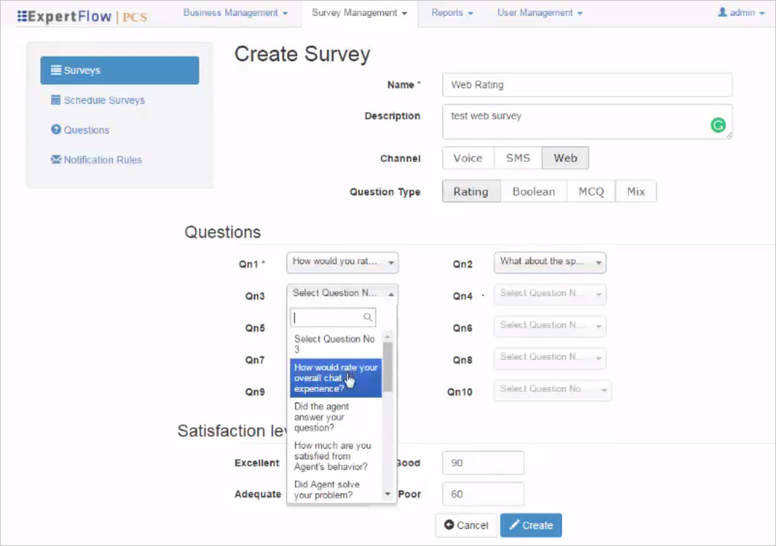 Together with Collaboration Surveys, CIM creates an activity for each post-interaction survey happened with a customer. The survey interaction contains the rating or satisfaction score given by a customer to a customer interaction. These survey scores are available within the Interaction History gadget to supervisors to take further actions, for instance, rate the performance of the agent by taking into account the customer satisfaction feedback. Surveys and the related calls are all grouped under the same interaction. With CIM Wrap-up gadget, an agent can add tags or labels and assign wrap-up reasons to a customer interaction. The tagged interaction is stored in CIM. This helps to have reason-based segregation of interactions in reports. With Expertflow Agent Guidance, Cisco contact center agents can use pre-designed call scripts on an inbound/outbound interaction. 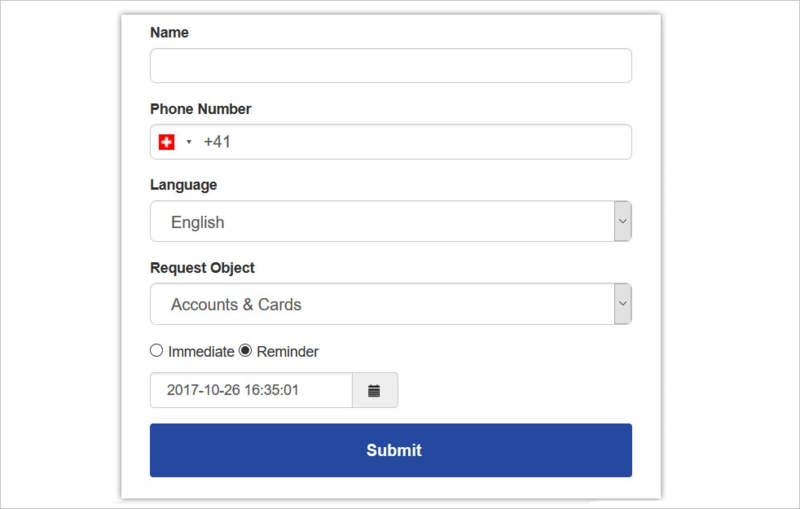 CIM creates an activity and stores a link to the customer feedback or the filled-in agent script as part of a customer interaction along with all related SIP call legs for reporting purposes. 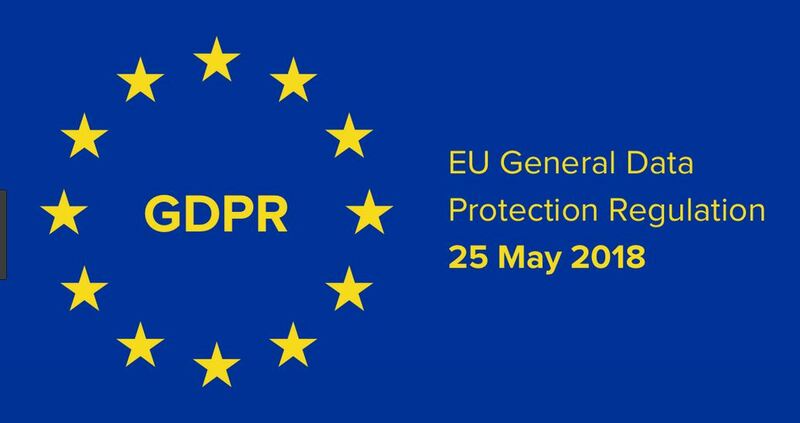 The EU GDPR regulation requires since 25 May 2018 to protect any personal data of EU citizens. This includes the right to have personal data deleted or modified upon a citizen request. 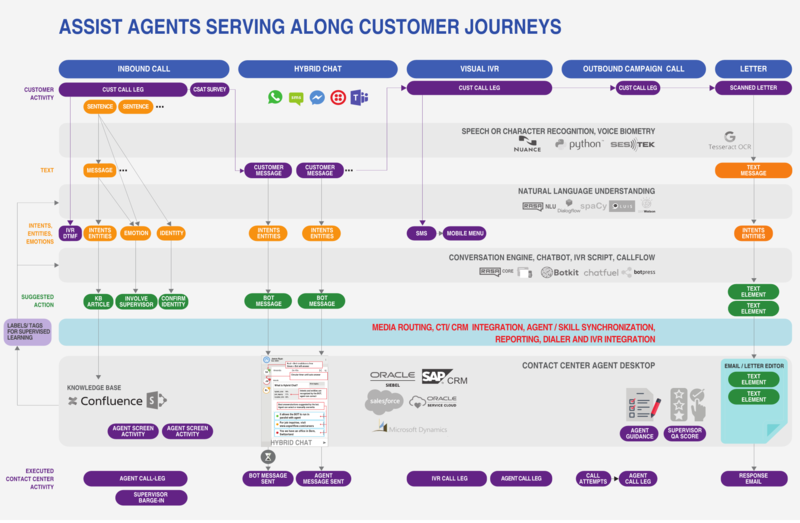 CIM links and groups together all information per customer occurring in a contactcenter. By doing so, it allows you to identify, retain, protect, modify and delete personal data in a systematic way. CIM interaction = CCS Request. This groups together several SIP call legs into one single call. For an outbound campaign, multiple call attempts, the call, and the result of the questionnaire filled in by the agent. ticket – or issue. This can span multiple interactions or calls, and have a long duration and has a status.